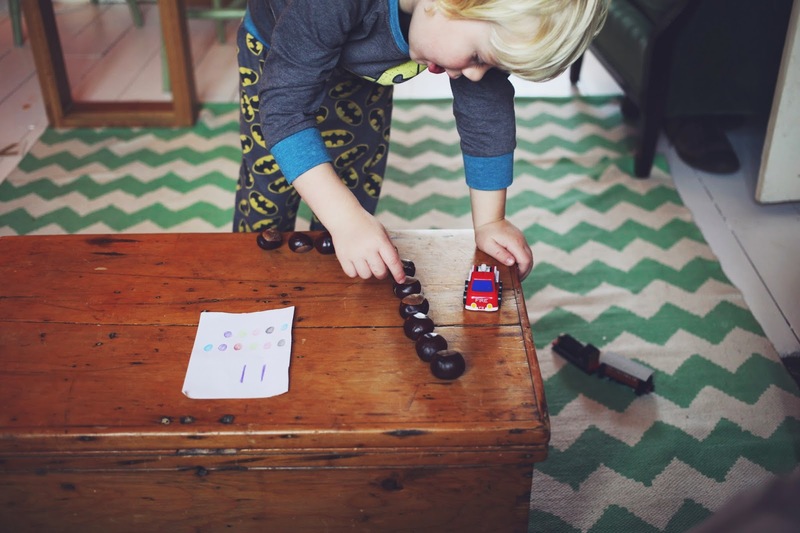 I mentioned recently that Theo has become obsessed with numbers and counting recently, and it's definitely an obsession I want to encourage! He counts everything he see's, such as floor tiles, pieces of food, legs...just about anything! 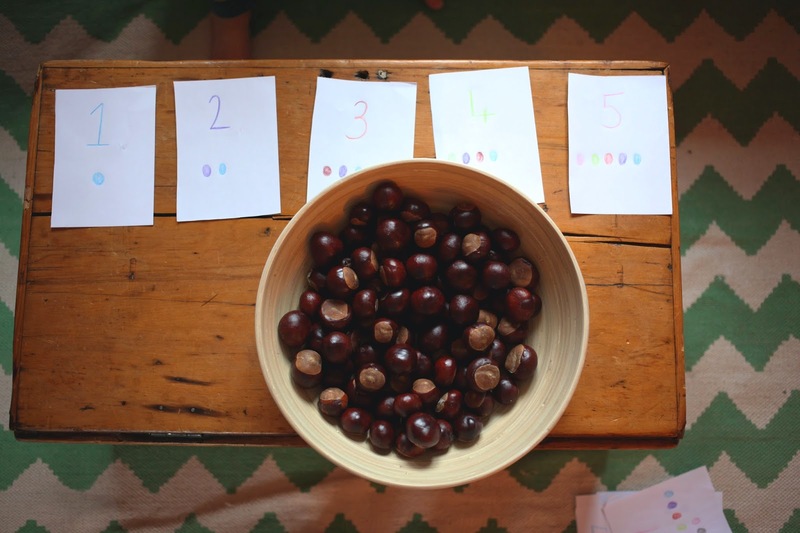 So when thinking about a montessori activity we could try I thought we'd try a simple game of matching and counting. 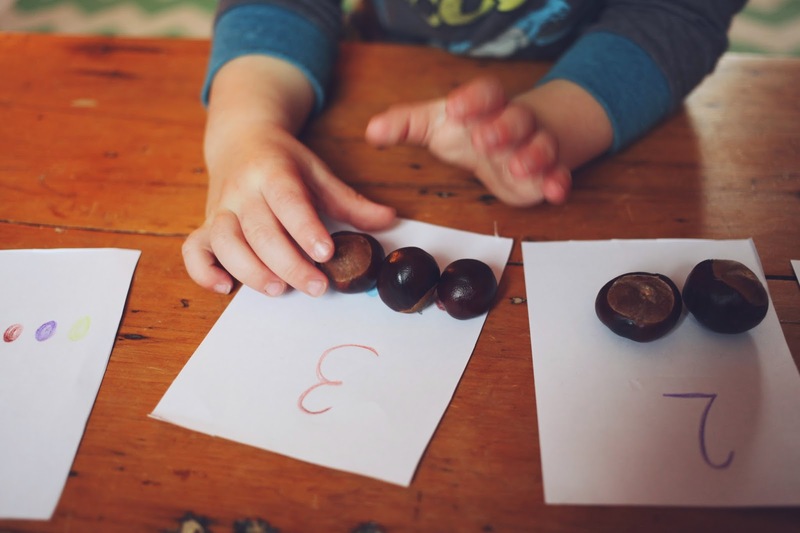 We have an abundance of conkers lying around not doing a whole lot (I mean what can you really do with them, except a conker fighting championship?!) 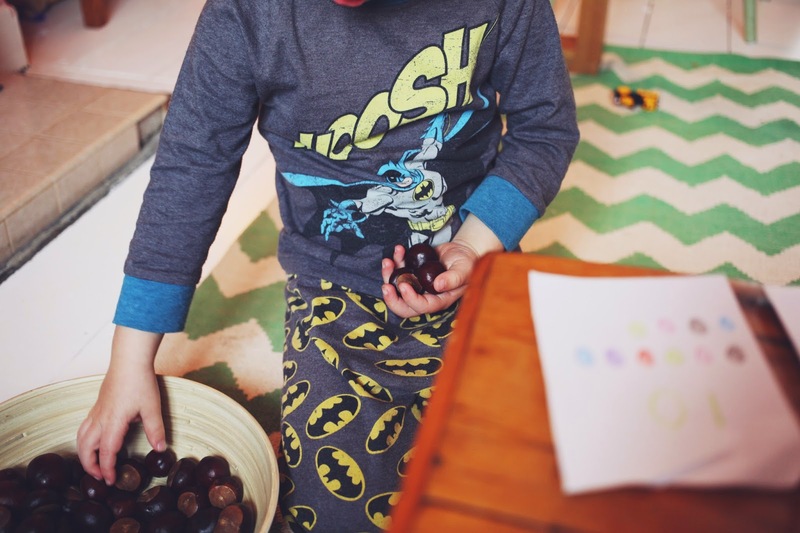 and to keep up with being seasonal and all that I decided they would be great to use as our counters. 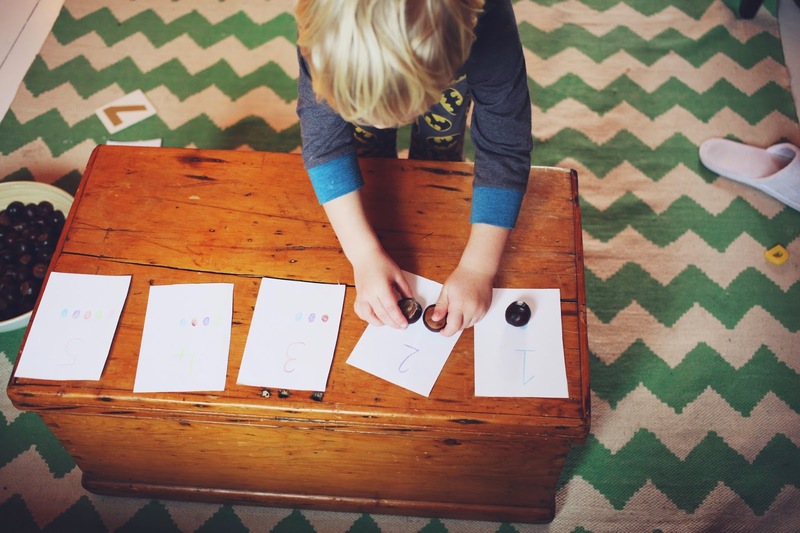 I quickly whipped up some number cards and just let him loose. 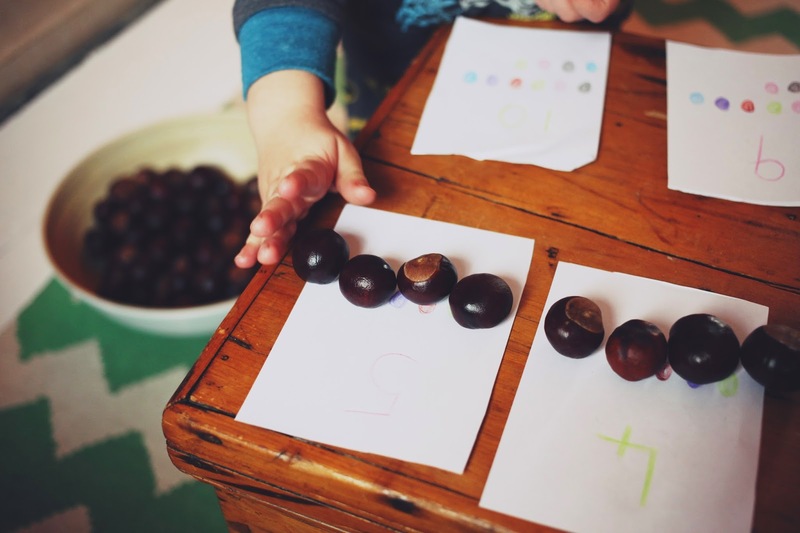 He didn't need any explaining of what he needed to do, just starting to pick up and count out the right amount of conkers for each number. 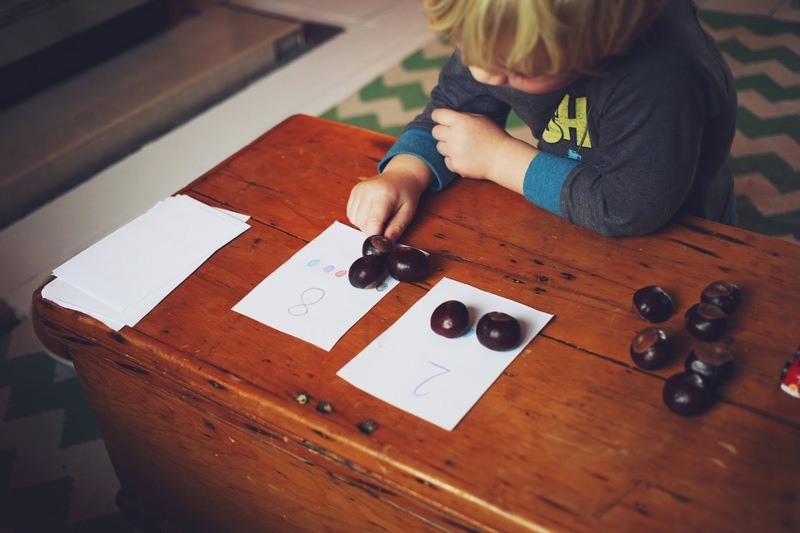 He'd count out the right amount from the bowl then count them onto the number card. 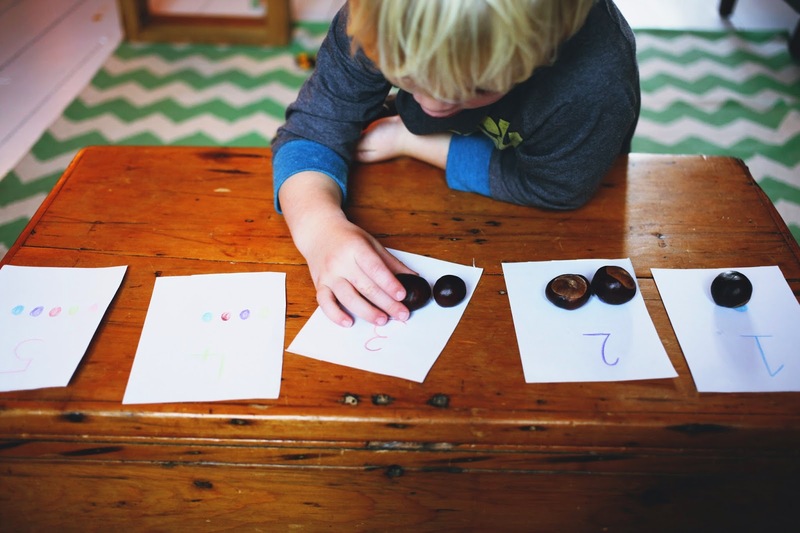 He can recognise digits well, and liked counting the dots too. 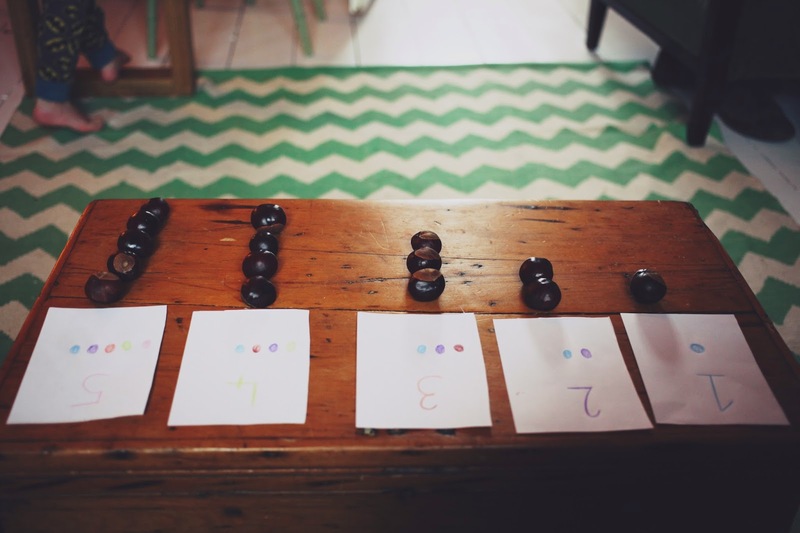 To make things a little harder we then mixed up all the number cards, placed them face down and picked two at random. 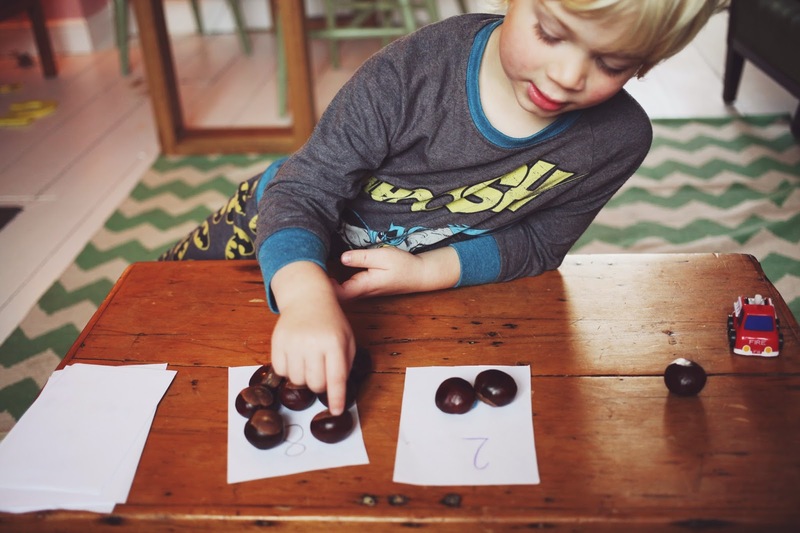 I wanted to introduce very basic adding, so asked him to count out conkers for each number, then count how many there were in total. It's something I hope that we can continue to build on!